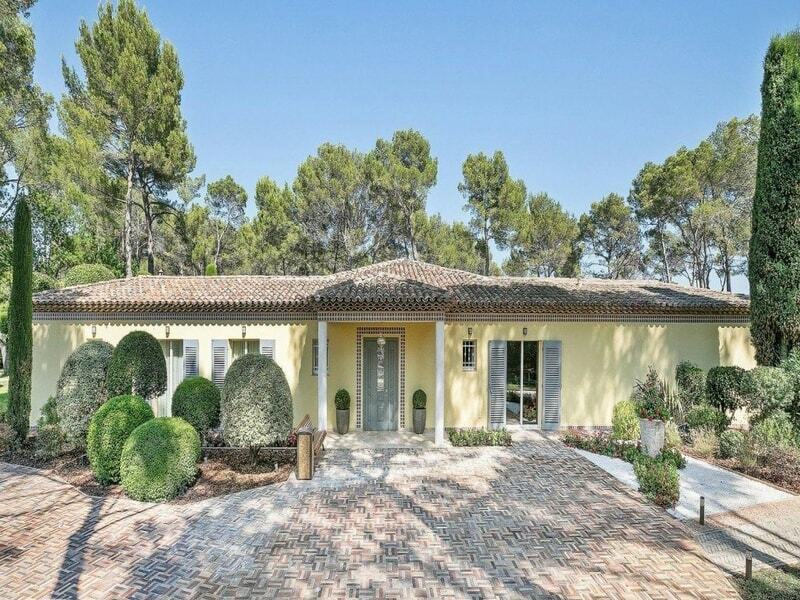 A fantastic property located in the beautiful village of Mougins. The villa is set in a manicured park, creating an oasis of calm and tranquility. 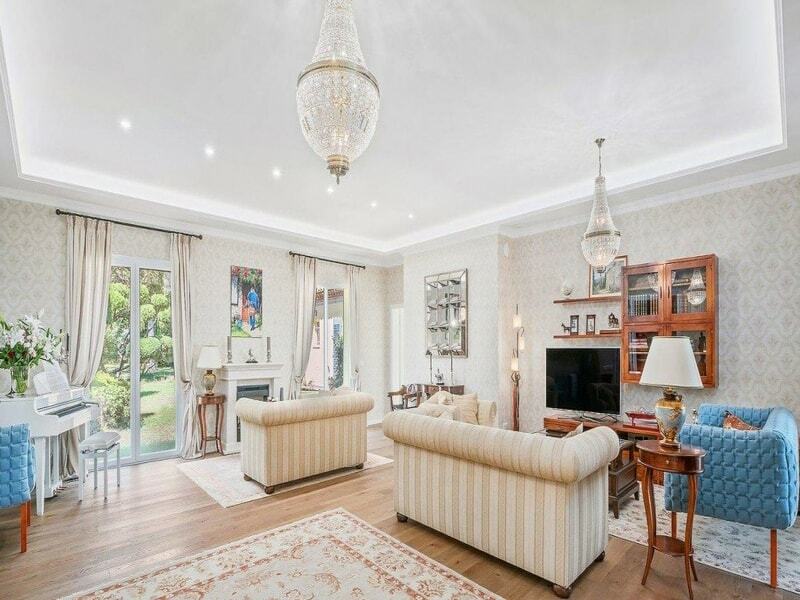 Approximately 345m2, with 5 ensuite bedrooms, including a luxurious master bedroom. 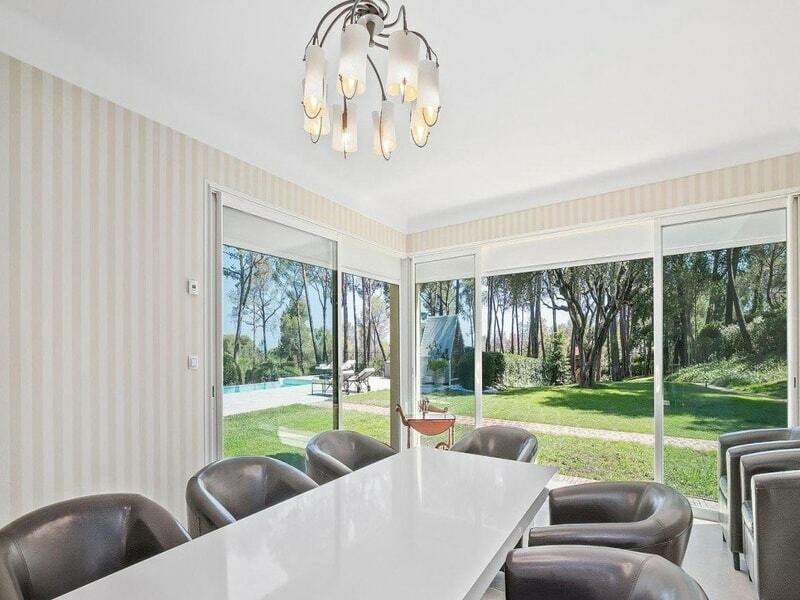 This contemporary luxury villa has been completely renovated to the highest quality. Nearby the luxury villa are incredible gourmet restaurants, chic boutiques, art galleries and one of the best international schools in France. Cannes and Antibes are just a short drive away. The elegant living and dining space leads to the stunning gardens, surrounded by the lush greenery and Mediterranean plants. The living area has been decorated with soft, neutral tones and features large patio doors which flood the rooms with natural light. The dining area opens into the fully equipped open plan kitchen, with a large island proving practical work space. 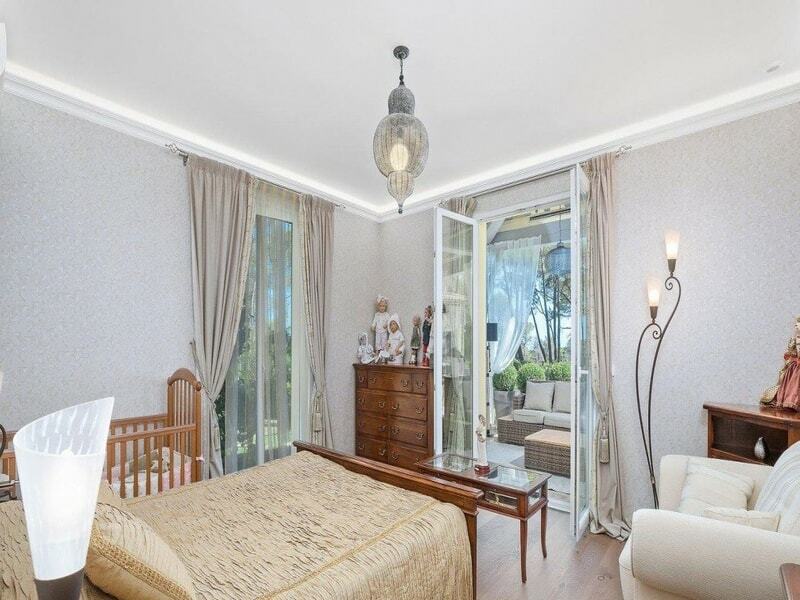 The 5 bedrooms are generously sized, and a luxurious master bedroom with access to a beautiful covered terrace. The rooms are decorated in the same soft tones as the living area. 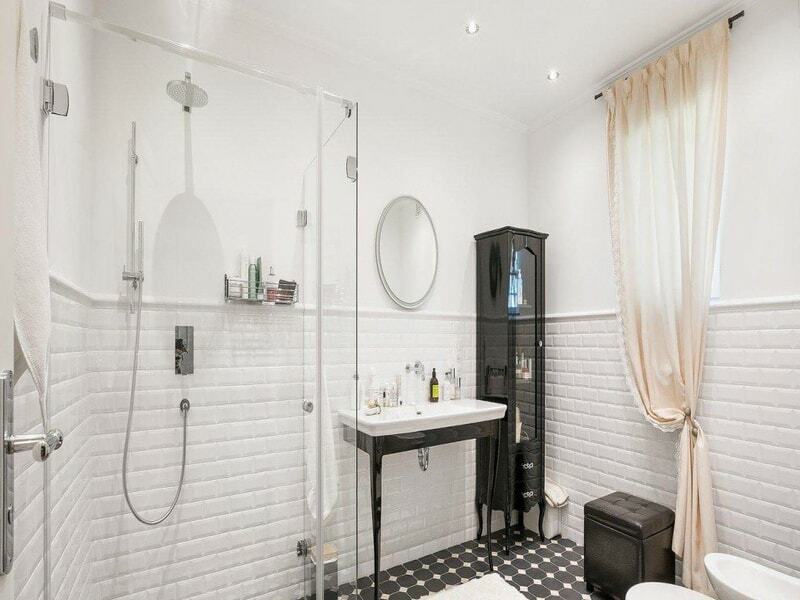 The 5 bathrooms are all en-suite, tastefully decorated with classic chrome fittings. The master bathroom is finished in chic monochrome, and features a fabulous rainfall shower. 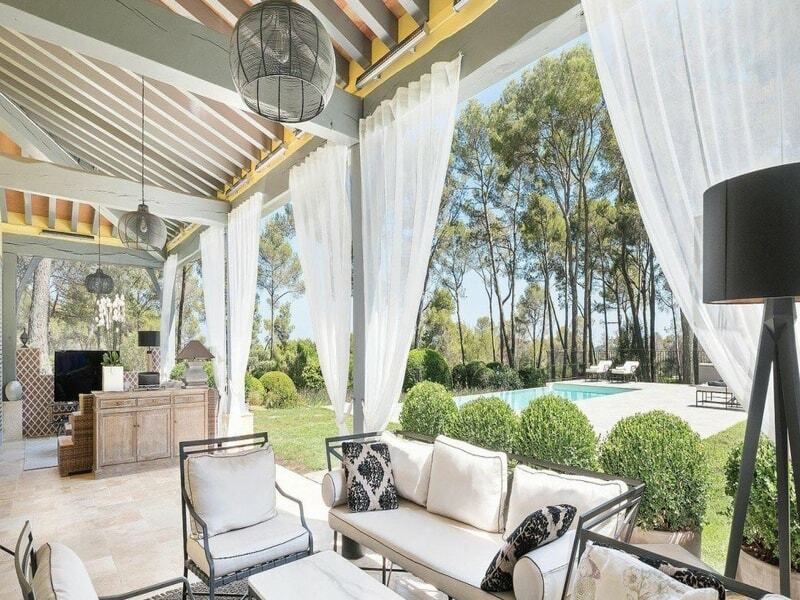 The villa is set in grounds of approximately 9702m2, with fully landscaped gardens. The property is set around a striking rectangular swimming pool with room for sunloungers. There is also an outdoor fitness circuit and a children’s playground. The kitchen and dining room of the villa open to a sophisticated outdoor lounge and dining area that overlooks the pool and gardens.There is a great BBQ area, and a covered patio that is ideal for entertaining.